Jennie M's Stampin Spot: Two for Tuesday! Here's a two challenge for Tuesday card! First, the sketch at Case this Sketch#261 here. And then the colors are from TGIF Challenge#149 here. The colors to use are Emerald Envy, Lemon Lime Twist and Gold. 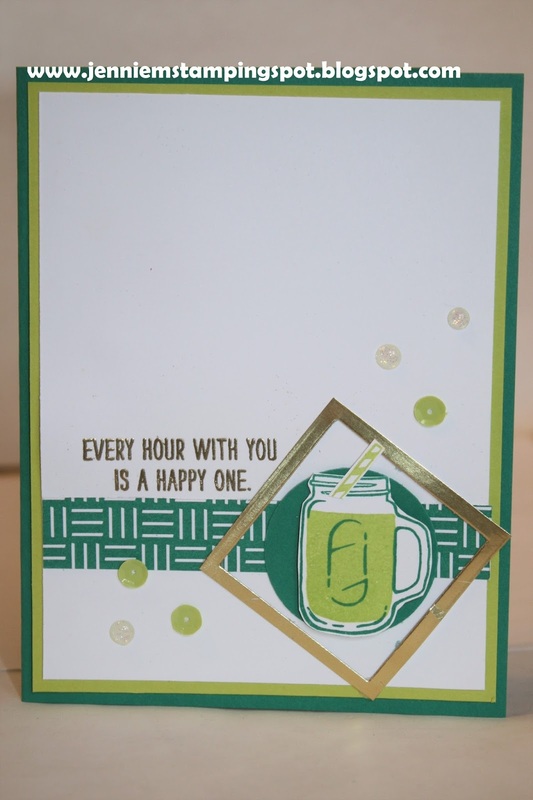 Mixed Drinks is the stamp set with some Pick a Pattern DSP. Super fun take on the sketch! Awesome to Get to Stamp!